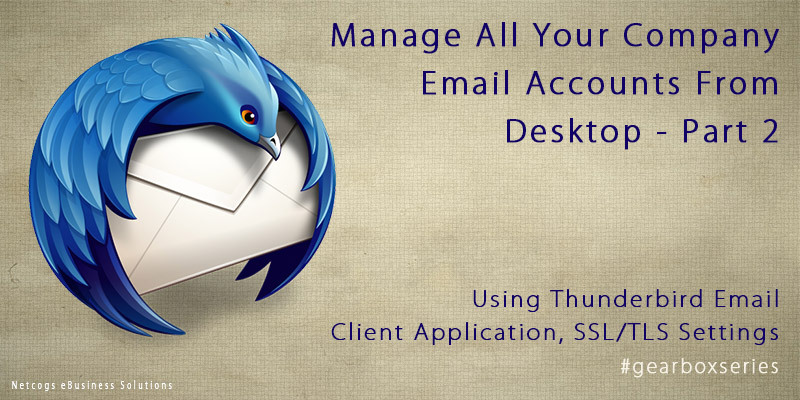 This article is a concluding part of our previous blog “Manage All Your Company Email Accounts From Desktop Using Thunderbird (email client) Application, Non-SSL Settings – Part 1″. Stay tuned with our latest blog on shifting trends in Digital Marketing, e-Business, CRM & CMS solutions. We promise not to spam you. ZACHAEUS EZEALI on 10 Proven Ways To Market Your Website for free! Netcogs eBusiness Solutions envisioned the massive online system as machinery composed of smaller web cogs, our proficient team help our clients to identify these smaller business web cogs like Website, SEO, Social Media, CRM etc. & help them incorporating in a systematic & effortless manner, we can gear up their ebusiness to whole new levels. Checkout our services to know more about us.